The “Pampas de Anta”, before called “Valle de Jaquijaguana” during the colonial times, is a completely flat valley located in the Anta province at about 50 minutes north from Cusco. Some of the most important places such as archaeological sites and Colonial Churches are located around the flat valley, all of them are barely visited by tourists because of the poor promotion from the public and private companies to the place. However, that does not mean that those places are stunning in architecture and engineering ahead of their time. 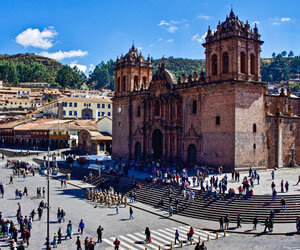 The place has a heavy historical meaning to Cusco because some of the first civilizations of the Cusco valley came from there, and also because of the definitive battle between the Chankas and the Inkas, allowing the last ones to become the greatest and largest civilization in America. Limatambo: Considered as one of the four TAMPUS (resting, commercial and control place) apart from Ollantaytambo, Paqaritambo and Paucartambo, located at 2577 m.a.s.l. The most important archaeological site is Tarawasi, which is located close to the main road Cusco – Abancay and on the main Inca Trail to the Chinchaysuyu (northern region). 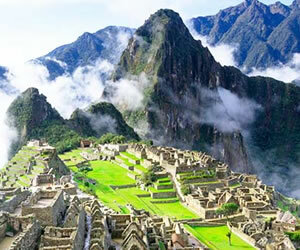 It is said that it was a ceremonial religious place during the Inca times. 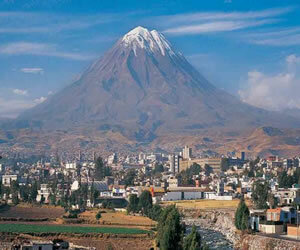 Ancahuasi: It is the highest district of the flat valley, at about 3465 m.a.s.l. There are “Haciendas” which do tell part of the colonial history of the area, when the Spaniards had part of the current extension, later converted into Native Communities during the Military Government of Juan Velasco. Killarumiyoc is the most important archaeological site of the district, it is a completely sacred place for revering the moon (Killa in Quechua language) and located at the base of the Apu Soqomarka sacred mountain. Zurite: Located at 3400 m.a.s.l. and to the east of the flat valley, its capital suffered the consequences of a catastrophic flood, which nearly destroyed the whole town in 2010 because of the heavy rains that fell for several days in a row. Incredibly, their archaeological sites survived and remained almost intact from the flood, one of the examples is the Archaeological Site of Andenes de Zurite, considered as the largest Andean Terraces of the world. Huarocondo: According to the Spanish chronicles the place was the oldest of the flat valley, some said that Ayar Manco (one of the Ayar brothers) ordered the beginning of the construction of all of the complexes around. Nearly all of those complexes are located far away and higher from the town, which is located at 3335 m.a.s.l. The Rawanqui Andean Terraces are located at a similar altitude of the town, and is considered as the projection of the Andenes de Zurite. Pucyura: Located at 3384 m.a.s.l. 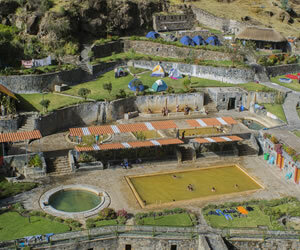 it was the birth place of one of the groups that also occupied the Cusco valley and fought against the Incas: Ayarmacas. In fact, the name remained intact until nowadays, one of the native communities is called Ayarmaca. 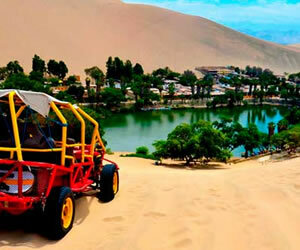 The most important archaeological site is Pillco Paqcha, which is associated with the reverence of the water. At 08:00 in the morning, pick up from hotel to start following the main road heading north with the transportation and the tour guide in a 75 km trip to Tarawasi archaeological site, 40 minutes of guided tour will be performed at the place. Following the main road back, 29 km later, the archaeological site of Killarumiyoc is reached and it is the longest visiting place, expect more than an hour to explore some of the most important sectors including the “Moon Stone”, a kind of astronomical observatory for calculating the moon phases, the site is the only one of its kind. The next stop is Andenes de Zurite Andean terraces, which is located at 7.5 km from Ancahuasi, not only is the architectural explanation of the site, but also the opportunity to observe the growing process of some of the native plants with ancient techniques since before the Inca times with modern monitoring process by government agencies, 40 minutes will be the time for the guided tour. Between Andenes de Zurite and Huarocondo town, there is the Rawanqui Andean terraces, which is the following of Andenes de Zurite, a short stop will be performed in order to continue to Huarocondo town, which is very famous for the “Lechon”, a typically fried pork cub offered by many local restaurants close to the main square. At about 16 km heading south the final visiting place can be reached, Pillco Paqcha, a sacred place for revering the water according to the Spanish chronicles, because of the Puquios (water sources) found nearly along the whole district. At about 17:00 is the expected arrival time to Cusco to be dropped off at hotel. Entrance to Tarawasi: S/10.00 per person. Entrance to Killarumiyoc: S/7.00 per person. Meals at any restaurant alongside the route.